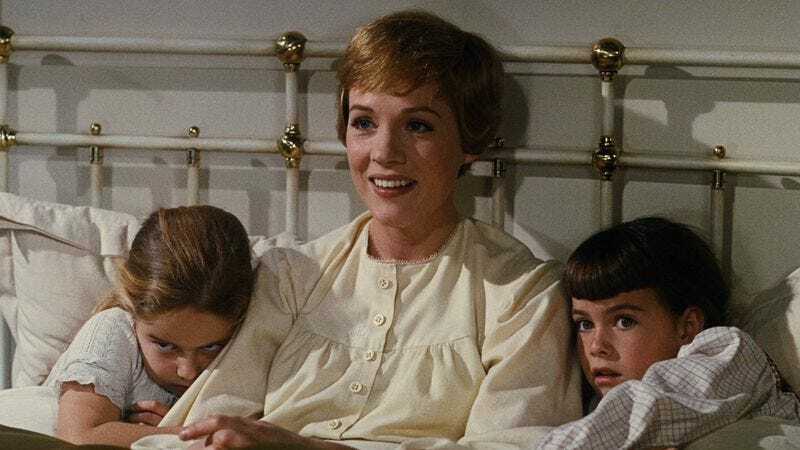 As we learned at the Oscars, this year marks the 50th anniversary of The Sound Of Music—the film version of that beloved musical about curtain clothes and Nazis, starring Julie Andrews and Christopher Plummer. Sony/Legacy is pulling out all the stops with a new version of the soundtrack that will include “previously unreleased orchestral cues from the Academy Award-winning score, and all vocal performances on one CD for the first time.” (It’s also coming out on vinyl! And the movie is getting a new Blu-ray release on three discs, with tons of extras.) Anyway, they also created this cute little lyric video for “My Favorite Things,” which is a song my mom used to sing around the house all the time, and they offered it exclusively to The A.V. Club. You should feel special, A.V. Club readers, like that time Liesel and Rolfe kissed in the gazebo, but before he got all Nazi.